Ten Pin Eatery Players Card's are FREE and easy to use! 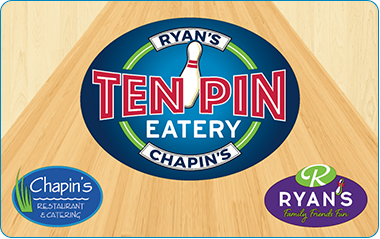 Visit Ten Pin Eatery to get your Game Players Card. The Player Card also serves as a Gift Card. 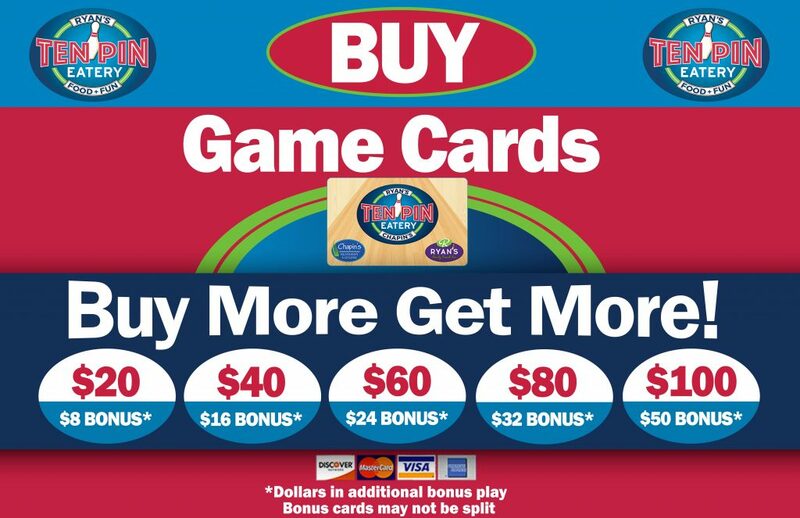 *Dollars in additional bonus play. Bonus cards may not be split. If you’ve already registered your card at an RFA center, there is no need to re-register online. By providing us with your email address, you are opting-in to receive emails from our company and you may opt out at any time. We respect your privacy. We promise not to sell or distribute your information to a third party. Enter the 16 digit number located on the back to check your balance. Dashes not necessary.